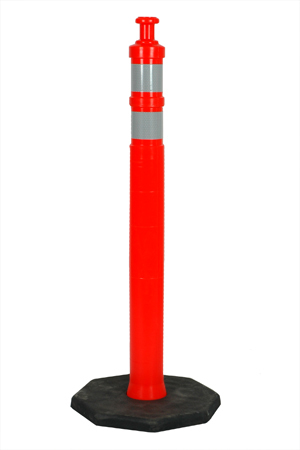 Boulevard Supply sells 45″ orange traffic delineator posts with 12 pound base and knob top for street and highway safety during road construction that features lane diversions and lane closures. 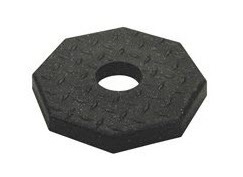 Base is sold separately and drops over cone for easy installation. These JBC 13.5 lb traffic channelizers meet both MUTCD standard & NCHRP-350 and has two reflective 3″ bands/collars.